Round two! Every new year brings us yet another exciting Sundance Film Festival and with only 49 more days until Sundance 2015 kicks off on January 22nd, Sundance has continued to reveal more films in their line-up, today announcing the Midnight, Spotlight and New Frontier selections (all 66 films In-Competition were announced yesterday). Among the selection are many of our favorite films already, including '71, 99 Homes, Eden, Girlhood and Ukrainian film The Tribe. We also get a good look at the unique midnight films, including Cop Car with Kevin Bacon: "two 10-year-old boys steal an abandoned cop car". Full lists below. Trevor Groth (@trevorgroth), Director of Programming for the Sundance Film Festival, comments on the line-up of films: "This year's Park City at Midnight selections have much to offer genre enthusiasts. With everything from futuristic fantasies to paranormal nightmares, it's an all-out trip to the cinematic edge." Browse through the Midnight & Spotlight selections of Sundance 2015 films - visit Sundance.org for more. 6 Desires: DH Lawrence and Sardinia / United Kingdom, Italy (Director: Mark Cousins) — In winter 1921, DH Lawrence and his wife journeyed to Sardinia, and he chronicled their experiences in Sea and Sardinia. Now, Mark Cousins retraces Lawrence’s footsteps. The film is conceived partly as a letter to Lawrence — or “Bert” — a detail that’s typical of the film’s inviting sense of conversational intimacy. '71 / United Kingdom (Director: Yann Demange, Screenwriter: Gregory Burke) — ‘71 takes place over a single night in the life of a young British soldier accidentally abandoned by his unit following a riot on the streets of Belfast in 1971. Unable to tell friend from foe, he must survive the night alone and find his way to safety. Cast: Jack O'Connell, Paul Anderson, Richard Dormer, Sean Harris, Barry Keoghan, Martin McCann. 99 Homes / U.S.A. (Director: Ramin Bahrani, Screenwriters: Ramin Bahrani, Amir Naderi, Bahareh Azimi) — A father struggles to get back the home that his family was evicted from by working for the greedy real-estate broker who's the source of his frustration. Cast: Andrew Garfield, Michael Shannon, Laura Dern, Tim Guinee, Cullen Moss, J.D. Evermore. Aloft / Spain, France, Canada (Director and screenwriter: Claudia Llosa) — Aloft tells the story of a struggling mother, Nana, and her evolution to becoming a renowned healer. When a young artist tracks down Nana's son 20 years after she abandoned him, she sets in motion an encounter between the two that will bring the meaning of their lives into question. Cast: Jennifer Connelly, Cillian Murphy, Mélanie Laurent, William Shimell. 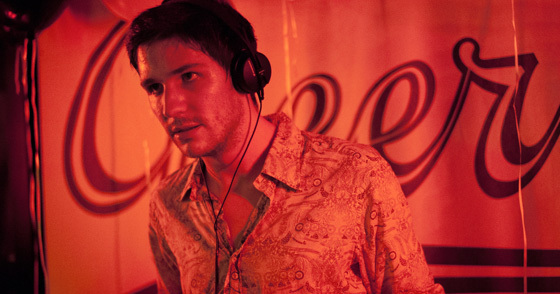 Eden / France (Director: Mia Hansen-Løve, Screenwriters: Mia Hansen-Løve, Sven Hansen-Løve) — Mia Hansen-Løve's electronic-dance-music epic follows the rise and fall of a DJ (based on her brother, Sven, a contemporary of Daft Punk) who gets into the rave scene in 1994 and spends the next 20 years navigating the French club scene. Cast: Félix de Givry, Pauline Etienne, Greta Gerwig, Brady Corbet, Arsinee Khanjian, Vincent Macaigne. Girlhood / France (Director and screenwriter: Céline Sciamma) — Oppressed by her family, dead-end school prospects, and the boys law in the neighborhood, Marieme starts a new life after meeting a group of free-spirited girls. She changes her name and dress, and quits school to be accepted in the gang, hoping to find a way to freedom. Cast: Karidja Touré, Assa Sylla, Lindsay Karamoh, Mariétou Touré, Idrissa Diabaté, Simina Soumaré. The Tribe / Ukraine (Director and screenwriter: Myroslav Slaboshpytskiy) — Set at a Ukrainian boarding school for the deaf, the film’s narrative unfolds purely through sign language without the need for employing subtitles or voiceover, resulting in a unique, never-before-seen cinematic experience that engages the audience on a new level. Cast: Grigoriy Fesenko, Yana Novikova, Rosa Babiy, Alexander Dsiadevich. White God / Hungary (Director: Kornél Mundruczó, Screenwriters: Kata Wéber, Kornél Mundruczó, Viktória Petrányi) — When young Lili is forced to give up her beloved dog, Hagen, because its mixed-breed heritage is deemed “unfit” by The State, she and the dog begin a dangerous journey back toward each other. Cast: Zsófia Psotta, Sandor Zsótér, Szabolcs Thuróczy, Lili Monori, László Gálffi, Lili Horváth. Wild Tales / Argentina, Spain (Director and screenwriter: Damián Szifrón) — Inequality, injustice, and the demands of the world cause stress and depression for many people. Some of them, however, explode. This is a movie about those people. Vulnerable in the face of an unpredictable reality, the characters of Wild Tales cross the thin line dividing civilization and barbarism. Cast: Ricardo Darín, Julieta Zyberberg, Leonardo Sbaraglia, Darío Grandinetti, Erica Rivas, Oscar Martínez. Cop Car / U.S.A. (Director: Jon Watts, Screenwriters: Christopher D. Ford, Jon Watts) — Two 10-year-old boys steal an abandoned cop car. Cast: Kevin Bacon, James Freedson-Jackson, Hays Wellford, Shea Whigham, Camryn Manheim. The Hallow / Ireland, United Kingdom (Director: Corin Hardy, Screenwriters: Corin Hardy, Felipe Marino) — When a London-based conservationist is sent to Ireland to survey an area of ancient forest believed by the superstitious locals to be hallowed ground, he unwittingly disturbs a horde of terrifying beings and must fight to protect his family. Cast: Joseph Mawle, Bojana Novakovic, Michael McElhatton, Michael Smiley. Hellions / Canada (Director: Bruce McDonald, Screenwriter: Pascal Trottier) — Teenage Dora Vogel must survive a Halloween night from hell when malevolent trick-or-treaters come knocking at her door. Cast: Chloe Rose, Robert Patrick, Rossif Sutherland, Rachel Wilson, Peter DaCunha, Luke Bilyk. It Follows / U.S.A. (Director and screenwriter: David Robert Mitchell) — After a strange sexual encounter, a teenager finds herself haunted by nightmarish visions and the inescapable sense that something is after her. Cast: Maika Monroe, Keir Gilchrist, Daniel Zovatto, Jake Weary, Olivia Luccardi, Lili Sepe. Knock Knock / U.S.A. (Director: Eli Roth, Screenwriters: Eli Roth, Nicolas Lopez, Guillermo Amoedo) — Two beautiful young girls walk into a married man's life and turn a wild fantasy into his worst nightmare. Cast: Keanu Reeves, Lorenza Izzo, Ana De Armas, Aaron Burns, Ignacia Allamand, Colleen Camp. The Nightmare / U.S.A. (Director: Rodney Ascher) — A documentary-horror film exploring the phenomenon of sleep paralysis through the eyes of eight people. They (and a surprisingly large number of others) often find themselves trapped between the sleeping and awake realms, unable to move but aware of their surroundings while subject to disturbing sights and sounds. Reversal / U.S.A. (Director: J.M Cravioto, Screenwriters: Rock Shaink, Keith Kjornes) — A gritty psychological thriller about a young woman chained in a basement of a sexual predator and manages to escape. However, right when she has a chance for freedom, she unravels a hard truth and decides to turn the tables on her captor. Cast: Tina Ivlev, Richard Tyson, Bianca Malinowski. Turbo Kid / Canada, New Zealand (Directors: Anouk Whissell, Francois Simard, Yoann-Karl Whissell, Screenwriters: Anouk Whissell, Francois Simard, Yoann-Karl Whissell) — In a post-apocalyptic future, The Kid, an orphaned outcast, meets a mysterious girl. They become friends until Zeus, the sadistic leader of the Wasteland, kidnaps her. The Kid must face his fears, and journey to rid the Wasteland of evil and save the girl. Cast: Munro Chambers, Laurence Leboeuf, Michael Ironside, Aaron Jeffery, Edwin Wright. The Forbidden Room / Canada (Directors: Guy Maddin, Evan Johnson, Screenwriters: Guy Maddin, Evan Johnson, Robert Kotyk) — A submarine crew, a feared pack of forest bandits, a famous surgeon, and a battalion of child soldiers all get more than they bargained for as they wend their way toward progressive ideas on life and love. Cast: Geraldine Chaplin, Caroline Dhavernas, Roy Dupuis, Udo Kier, Charlotte Rampling, Karine Vanasse. Liveforever / Colombia, Mexico (Director: Carlos Moreno, Screenwriters: Alberto Ferreras, Alonso Torres, Carlos Moreno) — Driven by the music and dancing she finds along the way, a teenager leaves home willing to try anything her provocative and tolerant city has to offer, even if she burns out in the process. Inspired by the best-selling novel "Que viva la música" by Andres Caicedo. Cast: Paulina Davila, Alejandra Avila, Luis Arrieta, Juan Pablo Barragan, Nelson Camayo, Christian Tappan. The Royal Road / U.S.A. (Director & Screenwriter: Jenni Olson) — This cinematic essay, a defense of remembering, offers up a primer on the Spanish colonization of California and the Mexican American War alongside intimate reflections on nostalgia, butch identity and Alfred Hitchcock's Vertigo — all against a contemplative backdrop of 16mm urban California landscapes. Cast: Jenni Olson, Tony Kushner. Sam Klemke's Time Machine / Australia (Director: Matthew Bate) — Sam Klemke has filmed and narrated 50 years of his life, creating a strange and intimate portrait of what it means to be human. Station to Station / U.S.A. (Director: Doug Aitken) — Station to Station is composed of 60 individual one-minute films featuring different artists, musicians, places, and perspectives. This revolutionary feature-length film reveals a larger narrative about modern creativity. Things of the Aimless Wanderer / Rwanda, United Kingdom (Director and screenwriter: Kivu Ruhorahoza) — A white man meets a black girl, then she disappears. The white man tries to understand what happened to her while also trying to finish a travelogue. Things of the Aimless Wanderer is a film about the sensitive topic of relations between “locals” and Westerners, about paranoia, mistrust, and misunderstandings. Cast: Justin Mullikin, Grace Nikuze, Ramadhan Bizimana, Eliane Umuhire, Wesley Ruzibiza, Matt Ray Brown. **Robert Redford, President & Founder of Sundance Institute, said, "The work of independent artists inevitably reflects the state of our culture and the times in which we live. Their stories are often irreverent, challenging, compelling and unexpected, and not only possess the power to move and hopefully inspire audiences, but also to speak to our shared humanity." John Cooper, Director of the Sundance Film Festival, said, "The selections for our 2015 Festival will take audiences on a wild ride of emotional extremes. With approaches ranging from comedic to dramatic, genre to documentary, experimental to short, independent filmmakers are bravely illuminating new opportunities for understanding and empathy." Sundance is always one of my favorite festivals, I'm always excited to get a glimpse at the line-up. This year looks fun as usual, will be some gems. Sundance 2015 runs from Jan 22nd - Feb 1st. Visit Sundance.org. Should be another stellar year for Sundance.